What's New for the 2018 Honda Pilot? 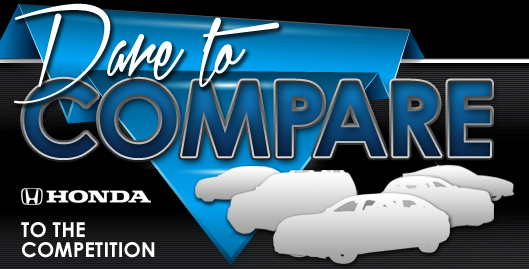 With many SUVs currently available, it can be difficult to narrow down your options. However, with a closer look at what the new Honda Pilot offers, you may discover that this is the vehicle that you have been looking for. The Pilot previously had a rather box-like appearance, but Honda has revised the exterior so that it has the curves that are currently popular in SUV design. 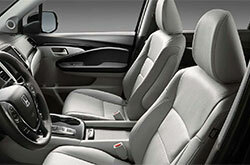 The Pilot is one of the few SUVs that has ample space in a third row. In addition to being spacious and attractive, the interior and exterior of this sports utility vehicle also have exceptional features that make it a true pleasure to drive on a daily basis. 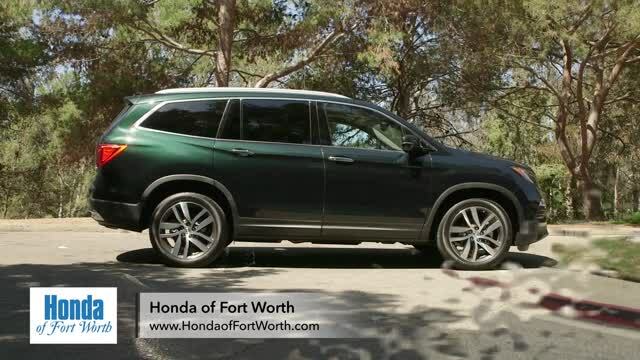 When you stop by Honda of Fort Worth to take the Pilot out for a test drive, you will notice that there are a few trim levels for you to choose from. The Pilot LX is the base trim level. 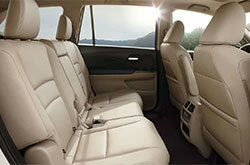 It comes equipped with cloth seating, and it lacks a rear entertainment feature. The 2018 EX-L is a mid-level trim option. This vehicle has leather seats as a standard feature, but it also does not have a rear entertainment feature. There is another EX-L available in 2018, and it has a rear entertainment feature as well as leather seating as standard equipment. While there are some variations in the standard equipment in each of these Honda Pilot trim levels for 2018, you will find that they all share some of the same standard features. These are comfort and convenience features, such as power windows and door locks, a keyless ignition feature, a backup camera, a tilting steering wheel with audio and cruise control functionality, heated side mirrors and more. At your Fort Worth dealership, you will also see that eight exterior colors are available, and there are also three interior colors available for all of the trim levels. 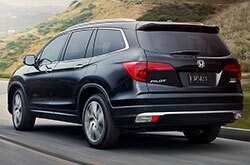 The Honda Pilot is a popular family vehicle and many people also commute back and forth regularly in it. It is a spacious SUV that has excellent comfort and convenience features, but it also gives you a powerful driving experience. Each of the three trim levels available are equipped with a 3.5-liter, six-cylinder engine. These engines can tow up to 5,000 pounds. They also have 280 horsepower and 262 foot-pounds of torque. Adding to your incredible driving experience in the 2018 Pilot, you can enjoy a six-speed automatic transmission, traction and stability enhancements and all-wheel drive. Taking the Pilot out for a spin with a visit to your local Honda dealership is a great way to experience the driving experience that the Pilot provides. Safety is a focal point for many SUV drivers, and you will not be disappointed with the exceptional safety features that are loaded into the 2018 Pilot. Some of the features that you will find in your new Pilot include child safety door locks and seat anchors, headrests for all passenger seating areas, a tire pressure monitoring system, front disc brakes, rear ventilated disc brakes and an engine immobilizer. In addition, all passengers have airbags, and the front passenger seat has a deactivation sensor for the airbag. If you purchase a higher trim level, your Pilot may also come equipped with a post-collision system, fog lights and a blind spot detection function. To learn more about the 2018 Honda Pilot, visit our dealership and our friendly staff will be happy to arrange a test drive. *Get Today's Price is available to all customers and can also be obtained by calling or coming into the dealership today. Purchase prices do not include tax, title, license and $150.00 doc fee. Prices include the listed Factory Offers and Incentives. Please verify all information. We are not responsible for typographical, technical, or misprint errors. Inventory is subject to prior sale. Contact us via phone or email for more details. *MPG Based on 2018 EPA mileage ratings. Use for comparison purposes only. Your mileage will vary depending on driving conditions, how you drive and maintain your vehicle, battery-pack age/condition, and other factors.